There’s no doubt about the fact that most businesses, both small and big, spend a lot of effort on getting their SEO strategy right. Despite the value high-quality content can bring to aspects such as demand & lead generation, web traffic continues to be the commonest criteria used to measure the success of a content marketing plan. 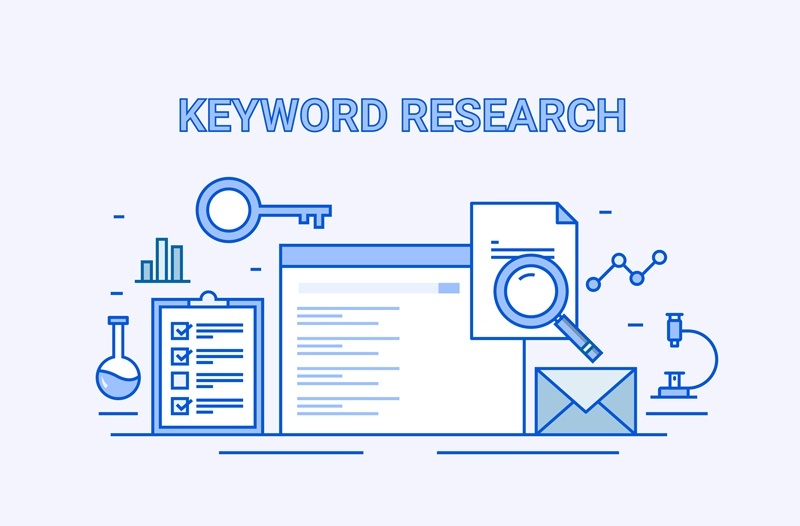 The SEO landscape has evolved significantly over the years, but one aspect that continues to be relevant to this digital marketing strategy is keyword research. While it’s true that most Google algorithm updates are specifically designed to focus on high-quality content, ultimately, people would still have to type some keywords into the search fields in order to get better results. The good news is that marketers can improve their SEO strategies by simply following some basic best practices. Here are some aspects to keep in view to improve your keyword selection. If you simply emulate what your competitors are doing, that won’t bring in the results you desire. You need to prioritise keyword research but also understand who you’re optimising for. Identify which topics are vital to your audience; this becomes the very first step to narrow down all the keywords that are most likely to attract them to your website. A serious marketer needs to pick keywords that are specific to their niche. These are referred to as “long-tailed keywords”. For example, if you sell men’s shoes, you also need to include long-tailed keywords that target that specific audience such as- “Leather shoes for men”, “Modern shoes for men”, “Latest men’s boots” etc., based on exactly which customers you want to target. Long-tail phrases have much lower competition, which increases the odds of higher rankings on the SERPs. Utilizing various relevant phrases will help improve the chances of SEO success. Typically, this tool is used for PPC campaigns, but it works very well for organic searches too. You can plug in various phrases in the search field, analyse search volumes as well as identify which of the keywords represent very good opportunities. Many SEO strategies involve optimisation after writing something and then plugging in the keywords. But it’s better to identify which keywords work well and then weave the content around them. This will ensure the content reads well and it removes the need to look for and fit in keywords later. It’s important to use keyword variations to reach a wider audience. Citing the same shoe business example, you can have one blog post for “How much do men’s leather boots cost?” and then have another blog that covers the price of the different types of men’s leather boots. At first glance, these two topics may seem similar, but search engines recognise them as two distinct topics- “How much do boots cost?” and “What is the price of boots?” When you create optimised posts for both, it helps increase the odds of your customers finding your content, regardless of how they actually searched for it. Tools such as Google Analytics help greatly with the keyword selection process. Marketers analyse various trends to identify which keywords drive traffic to their sites. This helps them build their future content based on these trends. When you make an effort to select the right keywords at the outset, you will be better able to position your brand and content to get ahead of the competition by increasing search engine visibility.